It would be fair to say I’ve been going through some transitions lately, and reading The Rosie Project by Graeme Simsion provided me with just the bibliotherapy I needed to feel better about myself and get my life back in order. The company I’m working for here in Barcelona has been going through some financial issues, and I was asked to stay and work remotely for less money and hours or to find a new placement. My Erasmus programme dictated that I had five days to start a new placement, and despite getting an interview sorted the same day I heard the news (by some strange feat), it was too short-notice to get everything in place. So as of Monday, I have less money but more time to explore Barcelona and focus on my other projects. The advantages are pretty handy, to be honest, but I’ve chosen to leave Barcelona earlier than expected, probably around the middle of next month. I’m sure I’ll have some fun before then, though. As a result of these changes, my routine had sort of gone to pieces at the end of last week. Well, there wasn’t anything subtle about it: I was watching too many Desperate Housewives re-runs, staying in my pyjamas and not really achieving much (compared to my usually high standards, at least). I’m one of those people who need a routine, and The Rosie Project came along at just the right time. Don Tillman, professor of genetics, has never been on a second date. He is a man who can count all his friends on the fingers of one hand, whose lifelong difficulty with social rituals has convinced him that he is simply not wired for romance. […] In the orderly, evidence-based manner with which he approaches all things, Don sets out to find the perfect partner. She will be punctual and logical—most definitely not a barmaid, a smoker, a drinker, or a late-arriver. Aspergers is very much in my Mum’s side of the family – I’ll leave it at that. Reading about Don’s routines got me thinking about how much I need stability in my own life, and this helped me plan out my days now that my work has changed. Don does take this to an extreme, which we should avoid, and I don’t think I’ll be adapting his meal plan any time soon. The Rosie Project has also encouraged me to get outside every day, no matter how much I don’t want to, because if a character like Don can do it, then so can I. Now I think about it, this very much links back to my last post, in which I outline how we can replicate the actions of a character we admire after reading a book. Books including positive transformations of characters always get me thinking about my own life and self-improvement, and The Rosie Project was no exception. The ending is really uplifting (seriously happy-ending stuff that got me grinning from ear-to-ear), so it’s definitely a great bibliotherapy recommendation for depression and low-mood. The plot distracted me from my spiralling worries, so I’d definitely recommend it if you’re facing anxiety too at the moment. If you liked The Silver Linings Playbook I think you’ll enjoy The Rosie Project. I was also reminded of Where’d You Go, Bernadette?, although this may have been purely because both novels made me feel really positive, relaxed and good about myself. 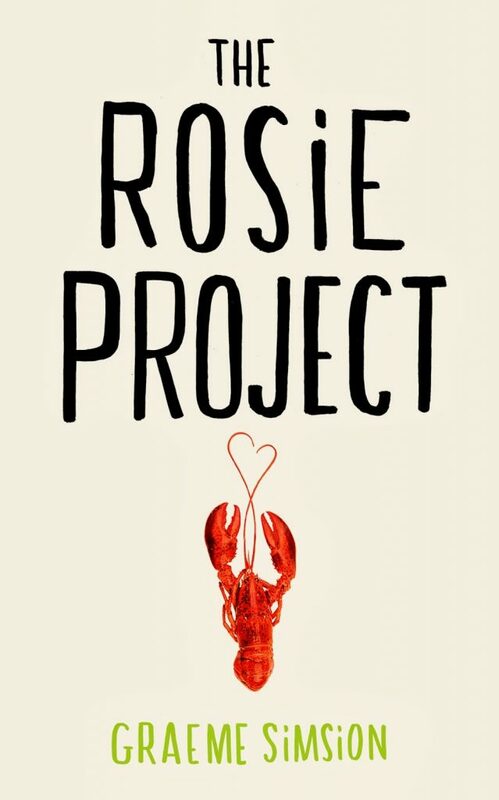 Have you read The Rosie Project by Graeme Simsion? It would be great to know what you think of it, or if you’re now adding it to your reading list! You say it encouraged you to go outside and that is also exactly what I need (again, winter weather not really helpful here). I thought this book was quite brilliant. Quirky, funny, heartwarming and all sorts of other adjectives 😀 It seems like this book was a great help to you, love to hear that! The power of books! I have this book for review, and I teach many children who have Asberger's. My mother borrowed it when it first arrived, and she loved it. You, also, make it sound a "must read". Sounds great! I avoided this book at first because I didn't like the cover. Silly, I know. But, I love your review. Thanks! I need a picker-upper book. Thanks for the comment, Heidi! It is an unusual cover that's for sure… the lobster makes sense after reading the book though, I promise 😉 It would be great to know what you think if you do give it a go. I'm so glad you liked my review! Hi Brian, it really is such an imaginative book…I finished it and immediately wished I could have written it! I definitely agree that characters can be positive role models, and the more I read the more this view seems to be reinforced! I hope the weather where you are is picking up a bit… I'm back to England tomorrow, so I think I'll need to find more feel-good novels to make up for the vitamin D difference! Thank you – I'm so glad you liked my post! It would be great to hear what you think of it. Happy reading!